The rechargeable lithium-ion battery of the Apple iPhone is a high priority device in the entire Smartphone. Only battery is a thing that provides flow to run our equipment. 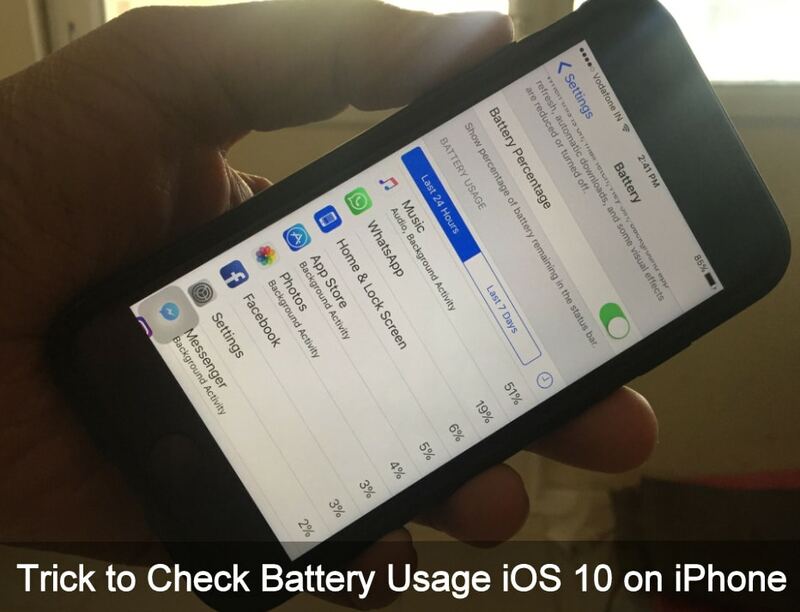 So you should know everything about your Smartphone battery including Power storage capacities, how much time takes to fully charge your iPhone, Which Apps kill your battery quickly, for that you should have an idea of to check battery usage iOS 10 on iPhone. These all things, I’m going to describe at below. Some of the third-party Apps user interfaces takes an amount of battery power to load and run that on your Smartphone. Luckily, iOS 9 and later user can navigate the energy consumption apps at under the battery section of the Settings App. Go with the following guide. And get a ride on it to save battery life in iOS 10. This post is to be dedicated to iOS 12 compatibles iPhone users. 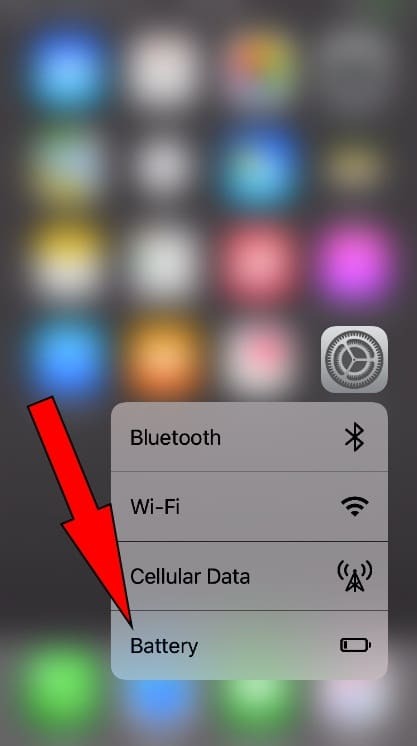 Scroll down the screen to Battery > appears between Touch ID & Passcode and Privacy. Order wise there are two tabs– Last 24 Hours and Last 7 Days. And below the tabs is the Apps list, it’s ready automatically by high to low battery power consumption Apps. It shows the proportion of battery used by each app in the last 24 hours and last seven days. Next, to the second tab (last seven days), you can see a clock icon, tap on it and check App battery lifespan. On 3D touch integrated iPhone, Just press and hold on Setting app on the screen. You will get quick action menu, choose Battery so that it will let you directly on Battery Usage screen. It is quite easy. In the end, you will have to delete that Apps or turn off certain unnecessary features on your iPhone. There are many iOS 10 battery life extend tips and External chargers and Power banks that you can use to recharge your battery on the Go. Don’t forget to share your tone in the following comments. 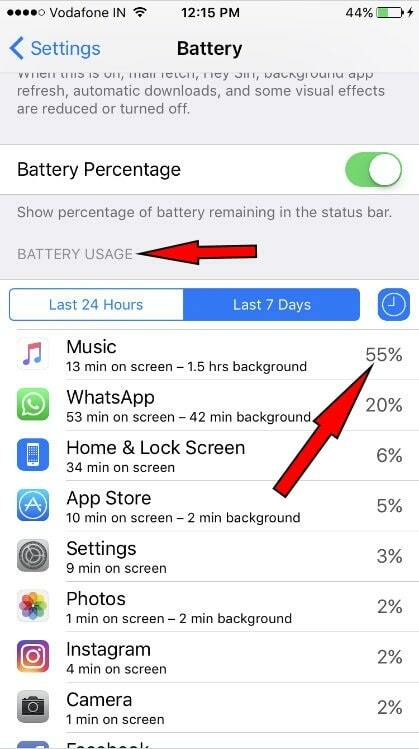 Even if you have any unique/ extra ideas to suggest to saving iPhone battery life, please caption it.